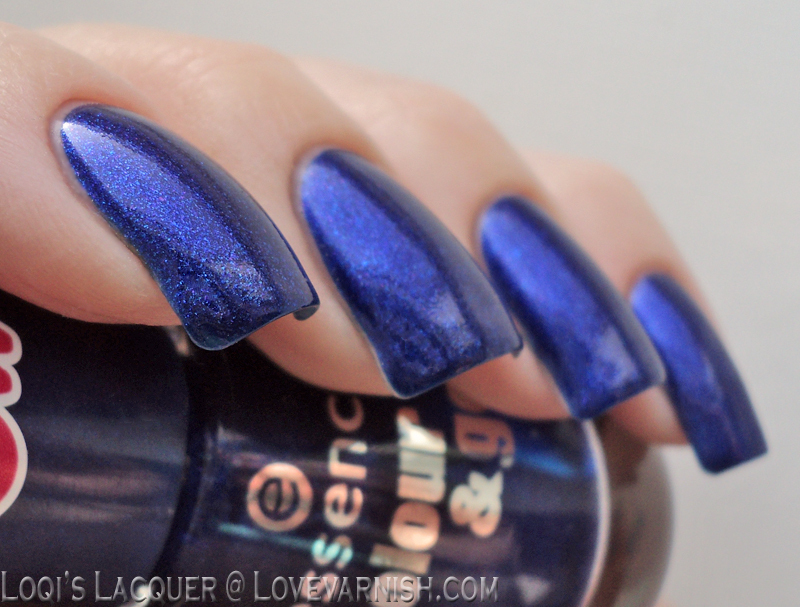 Love Varnish: Swatches & Review - 2 More New Essence Polishes! 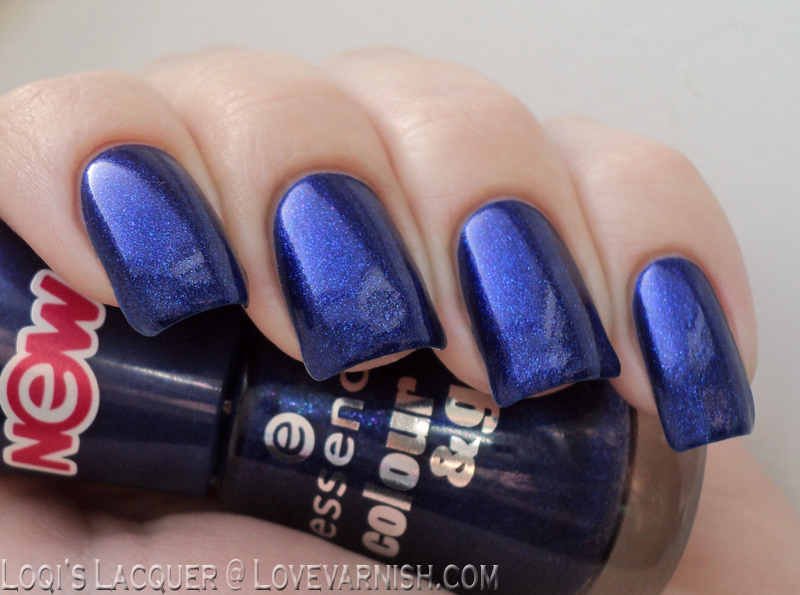 I hope you like the new Essence and Catrice polishes we have been showing you lately, because today I've got a couple more for you! Are you ready to check out 'Over the rainbow' and 'It's raining men'? First up, Over the rainbow. 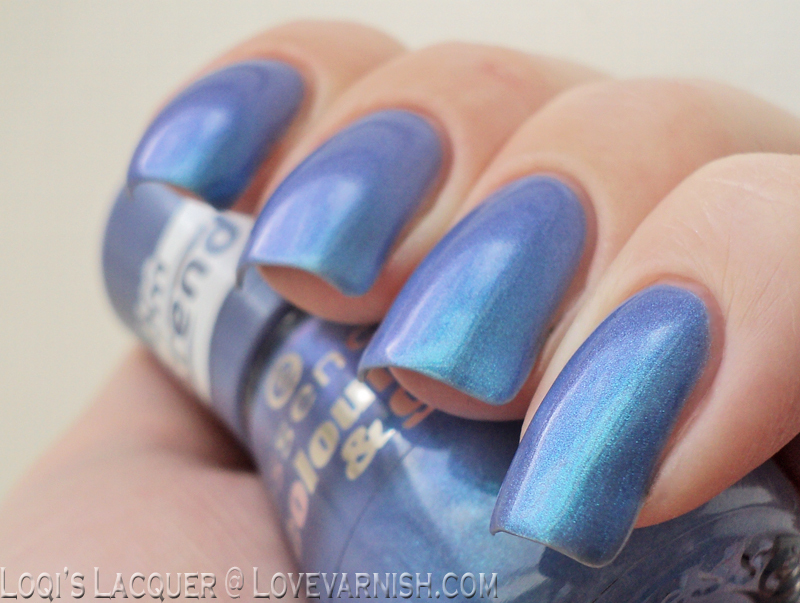 OtR is a very soft and delicate pale blue/lavender shade. It's kind of hard to say if this is blue or lavender based, it changes so much depending on the lighting. It's very shimmery, making it almost liquid looking. Application was normal, this is 3 thin coats, with normal drying time and removal was easy. I love this one, it's so pretty! Next up is It's raining men. 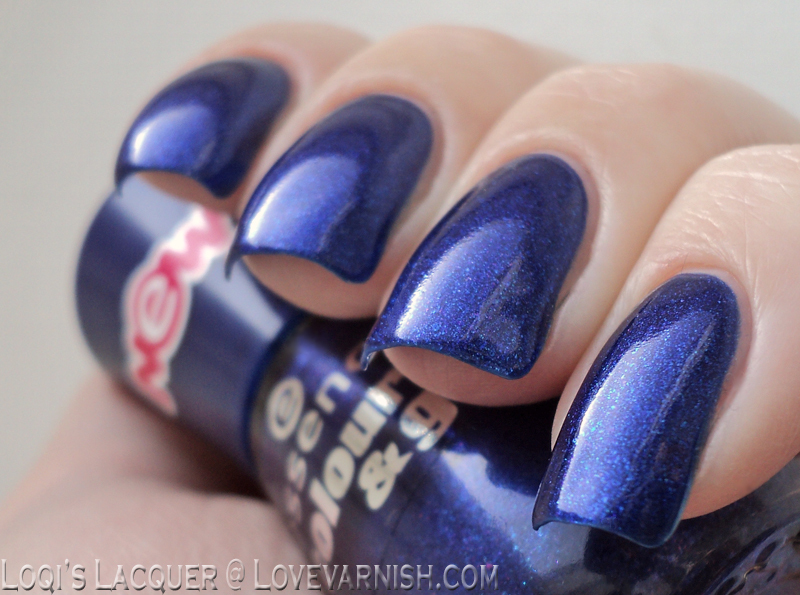 IrM is a royal blue shimmer polish. 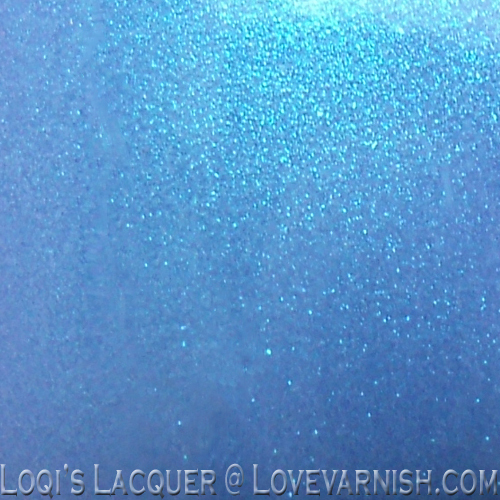 It's not a fine shimmer like OtR but more of an irregular shaped, bigger particle shimmer. 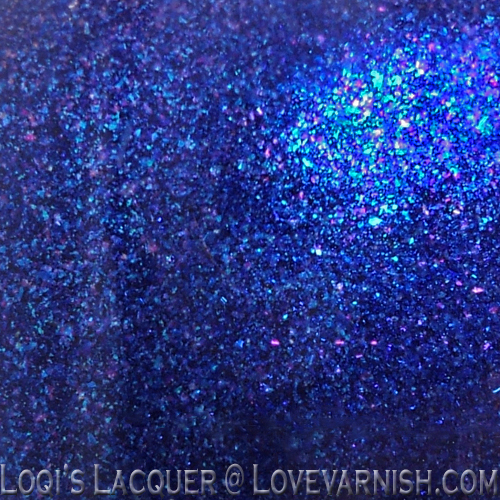 The particles are mixed blue and purple, as you can see from the bottle picture up top, but the purple isn't visible on the nail. Application wass fine, 3 easy coats. 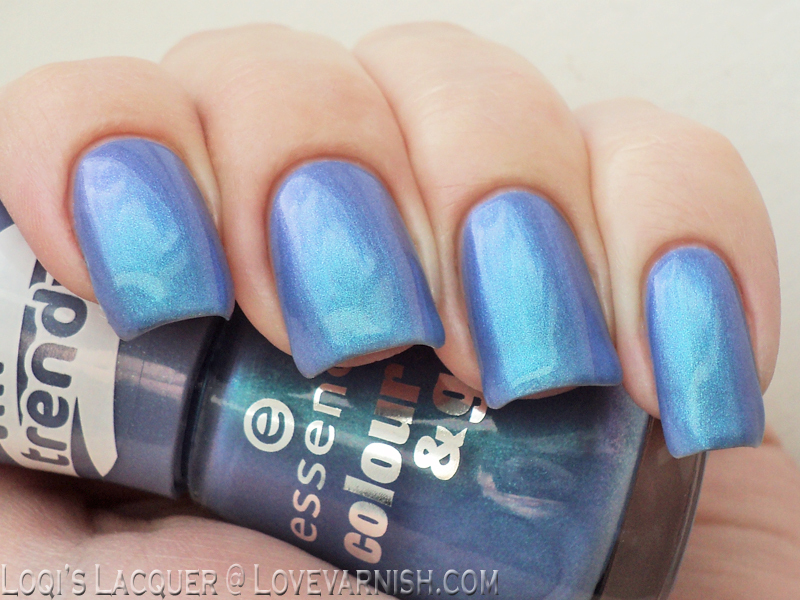 I was afraid this one would stain on removal, as most bright blue polishes do, but it didn't! What do you guys think? Will you get these as well? Tell me in the comments, and see you next week! I love both of them! 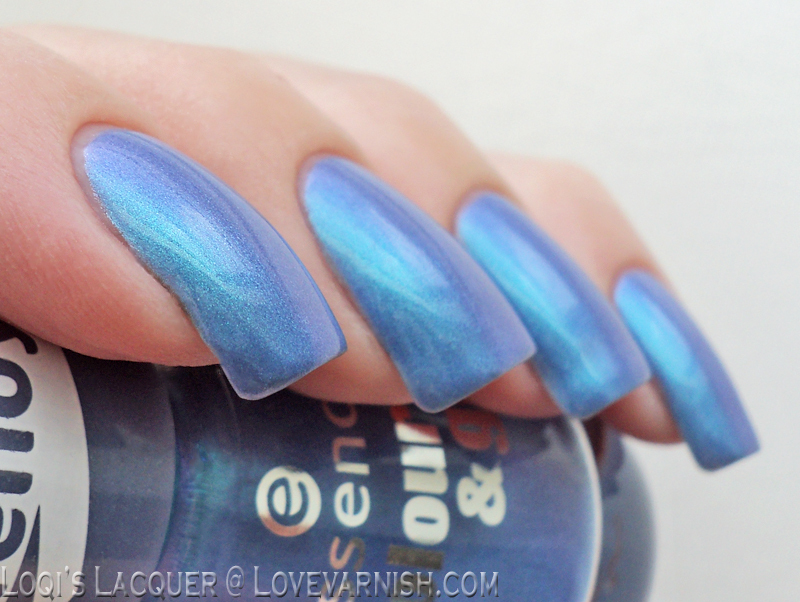 Over the rainbow is normally not my thing but I love the baby blue/lavender base.